Traditional sew on patches are great, however, some people are looking for an easier way to attach their patches to clothing or fabric. At American Patch, we offer iron-on patches for clothes. These embroidered patches offer backings that simply need heat instead of a needle and thread to fasten. Here, we explain the process to create your very own iron-on patches. The first step to creating your own iron-on patches it to choose the design you’d like. Whether it’s a piece of artwork you’ve conceived or a piece of artwork you’re already familiar with, we can adapt any design. Please note, if the artwork is trademarked, you will need written permission from the artist for us to create the patch. Our patch experts have created custom patches with logos, emblems, mascots, quotes, symbols, and more, so don’t be afraid to get creative. 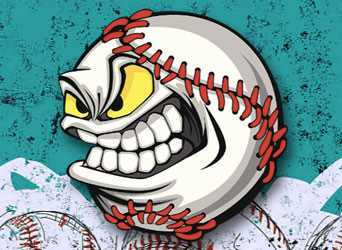 Here at American Patch, we offer three different types of patches: embroidered, woven, and dye sublimated. While each has its own unique look, they can all be fitted with iron-on backings to make them iron compatible (with exception to the heat seal backing). Our embroidered patches are our most traditional-looking patches. They boast a dimensional depth. Our woven patches incorporate the thread and substrate into one to create a more even look. And our dye sublimated patches are our most unique photo patches. For these, we dye each molecule of substrate to create a photo-like quality patch. Which patch type you choose depends on the look you want and the amount of detail in your design. After you’ve decided on your patch design and the type, choose the size and shape you want. We can create iron-on patches for clothes in virtually any shape and any size, depending on your design. We’d be happy to talk to you about your options. You’ll also have to choose the colors for your creation. No matter your design selections, we offer a wide variety of colors to best match your design. Please note that additional thread colors may incur an extra cost per thread. 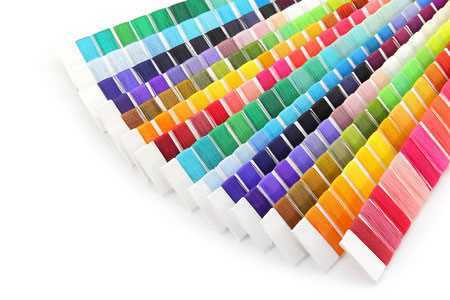 We carry hundreds of thread and twill colors – for a sample of what we offer, click here. When it comes to patch pricing, we take into account the size, quantity, backing type, and embroidery coverage to determine your price. For example, your embroidered patches will be more inexpensive if they’re small and include minimal embroidery coverage as opposed to large and lots of embroidery coverage. Also note that the more identical patches you order, the more inexpensive they’ll be per patch. For a complete pricing breakdown, visit our Pricing page. Once you’ve finalized the elements of your iron-on patches for clothes, it’s time for the best part – the ordering process. At American Patch, our ordering process is both fast and simple. First, fill out our short Free Quote form and attach the artwork you’d like to transform into a patch. We’ll send you an email quotation after that and if you decide to move forward, we’ll collect your billing and shipping information. We’ll send you a confirmation form for you to sign and once you send it back, you’ll get a sample of your finished custom patch. If you approve, we’ll create your entire order and ship it out to you as quickly as possible. That’s it! If you’d like to learn more about our patch creation process or if you have any questions, contact us today. We’ll address your concerns and help you get started on your order.